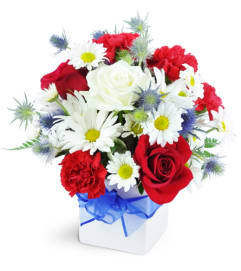 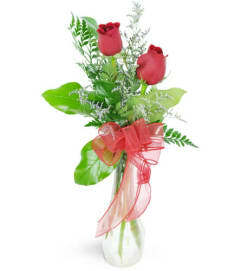 Express your adoration with this classic gesture of deep love and passion! 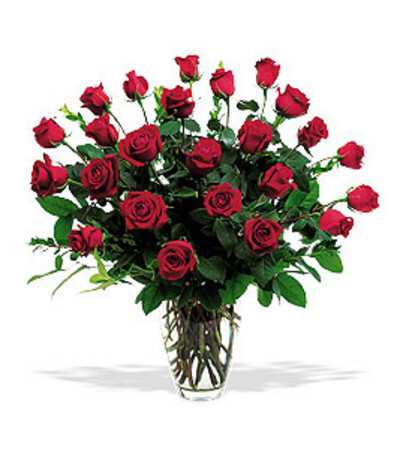 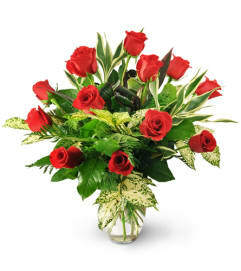 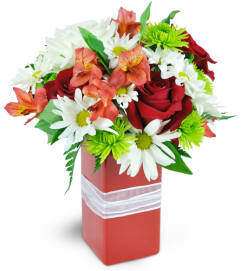 Twenty-four of the finest red roses are sweetly arranged beautifully in a clear glass vase. This generous and decadent bouquet really says it all!Standard size includes two dozen glorious red roses to make quite an impression, with baby's breath and salal in a classic rose vase.